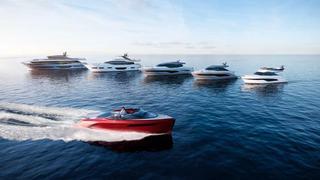 The looming threat of Brexit to British business has been swatted aside by Princess Yachts executive chairman Antony Sheriff. Speaking this month at the Miami Yacht Show, Sheriff pledged not to relocate the Plymouth-based luxury superyacht brand from Devon, insisting “we’re not afraid of Brexit”. He pointed to Princess’s increasing workforce, which last year saw the total employee count grow by 850 to over 3,200, as evidence of its faith in the quality of the British labour market. “In terms of employment, we’re now larger than Aston Martin, we’re larger than Maclaren, we’re larger than Rolls-Royce motorcars so when you think of the quintessential British luxury brands, we’re actually the largest with employment as a metric,” he said. He also revealed that Princess has teamed up with Plymouth City College to launch a carpentry academy intent on training up the next generation of skilled craftspeople. The academy will take on 14 apprentices each cycle and develop their skills in raw woodwork and carpentry skills.